On Arrival Pick up from Alleppey Railway Station. Meet and greet our driver/representative. Pick up and drive to Alleppey Houseboat jetty. Alleppey is known as the Venice of the East has a largest network of Canals and is a centre for backwater cruises in Kerala. Large number of tourist are attracted to this district because of its boat races, houseboat. On arrival check in to Houseboat. Cruise around backwater villages of Alleppey. The cozy double bedroom, the sit - out, the sundeck, the well stocked kitchen and the modern toilette give the guests a feeling of being at home in the lovely waters. The time the houseboat anchors in lake gives the guests a chance to experience cloistered comforts in the company of there loved one. One can move through small narrow canals, lakes & lagoons see traditional fishing, farming below sea level etc., which will help you to catch a brief memorable picture of Kerala backwaters. After breakfast drive to Coir Village Lake Resort. 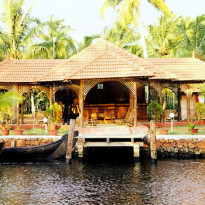 This exquisite resort is situated at Thrikunnapuzha, a small island lying along the backwaters of Alleppey and Kollam. A haven ideal for anyone who wish to escape from the stress and strain of the day to day life, this resort lies equidistant from the adjacent towns of Alleppey and Quilon. Located at Thrikunnapuzha, 35 Kms from Alleppey towards South (Quilon). After breakfast visit the famous snake temple Mannarasala, which is one of the rare snake worshiping temples in Kerala. After noon Special Day out program like village canoe ride and enjoy the beautiful sunset cruise through Kayamkulam Lake and get a glimpse of traditional Kerala life. Overnight stay at COIR VILLAGE. After the break fast it‘s the time to depart to your onward destination, with heart filling memories. Drop at Alleppey Railway Station. On Arrival Pick up from Alleppey Railway Station. Meet and greet our driver/representative. 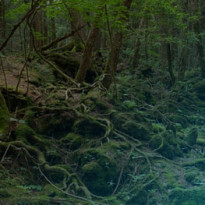 Pick up and drive to Coir Village Lake Resort. 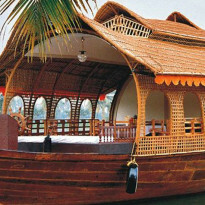 This exquisite resort is situated at Thrikunnapuzha, a small island lying along the backwaters of Alleppey and Kollam. A haven ideal for anyone who wish to escape from the stress and strain of the day to day life, this resort lies equidistant from the adjacent towns of Alleppey and Quilon. Located at Thrikunnapuzha, 35 Kms from Alleppey towards South (Quilon). After the breakfast drive to Alleppey Houseboat jetty. Alleppey is known as the Venice of the East has a largest network of Canals and is a centre for backwater cruises in Kerala. Large number of tourist are attracted to this district because of its boat races, houseboat. On arrival check in to Houseboat. Cruise around backwater villages of Alleppey. The cozy double bedroom, the sit - out, the sundeck, the well stocked kitchen and the modern toilette give the guests a feeling of being at home in the lovely waters. The time the houseboat anchors in lake gives the guests a chance to experience cloistered comforts in the company of their loved one. 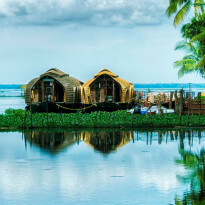 One can move through small narrow canals, lakes & lagoons see traditional fishing, farming below sea level etc., which will help you to catch a brief memorable picture of Kerala backwaters. After the breakfast drive to Alleppey Beach . Full day leisure at the beach. The restaurant serves delectable fare, both Indian and Continental. Overnight stay in the Resort. After the breakfast it‘s the time to depart to your onward destination, with heart filling memories. Drop at Alleppey Railway Station.